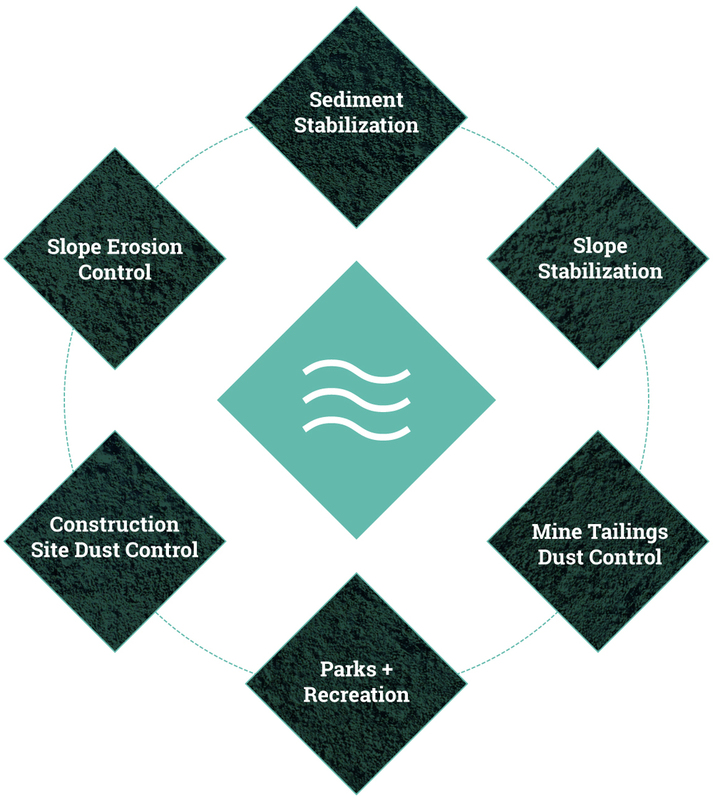 When it comes to erosion control challenges, we never let you down. LandLoc’s leading edge product, EcoAnchor, creates an environmentally sensitive barrier that will protect all areas including; slopes and embankments from erosion by effectively eliminating wind and water penetration. From construction and mining to oil field applications, LandLoc’s EcoAnchor will prevent fugitive dust, while creating a safer working environment for your employees. EcoAnchor was designed to withstand jet blasts of many hundreds of miles per hour. You can confidently know that an area treated with EcoAnchor will withstand heavy winds and prevent wind base erosion. EcoAnchor will reduce the permeability of treated soils, preventing water from over saturating the soil particles, while eliminating all water based erosion. EcoAnchor promotes early germination in seeds, while preventing over saturation of soils due to rain events. By maintaining the soil’s moisture and preventing erosion; seed displacement is prevented. EcoAnchor binds sediment in place, preventing it from eroding into storm drains. Once cured, EcoAnchor will not re-emulsify, wash away or leach with water. EcoAnchor was created with the environment in mind; it is safe to use in the treatment of soils and is safe for humans, animals, marine life and vegetation.